Twitter is the most popular micro-blogging website where you can post your tweets only up to 140 characters. While twitter business users can schedule tweets, users are yet to get this feature. 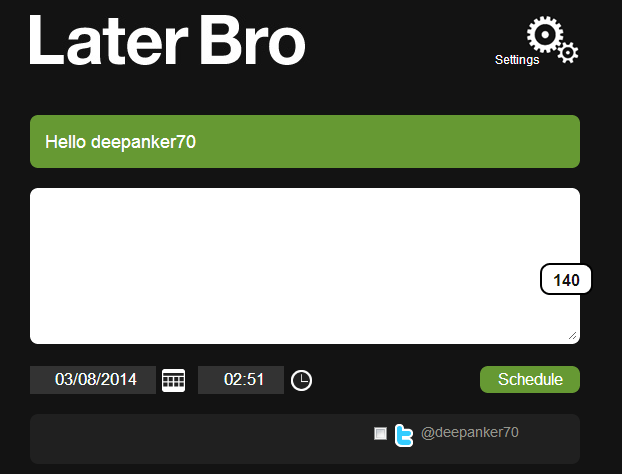 If you want to schedule tweets or set reoccurring tweets, there are few tools which you can use. You can use these tools to schedule birthday tweets or another kind of tweets at the time when you wouldn’t be online. In this post, we are listing 5 best tools that let users schedule tweets from Twitter accounts. 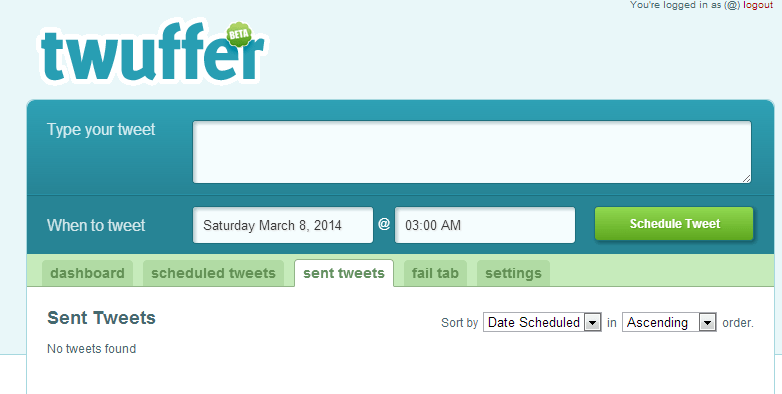 Twuffer is a nice web app that lets you schedule tweets. You need to authorize the app to access your Twitter account. Once logged in, select Timezone from the settings tab. Then write your Tweet in the text area at the top and then select the date time. Once you are done, click on Schedule Tweet button. Your Tweet will be posted at this data time. From the “Scheduled Tweets,” you can see all tweets you scheduled in past. LaterBro is a similar kind of service. 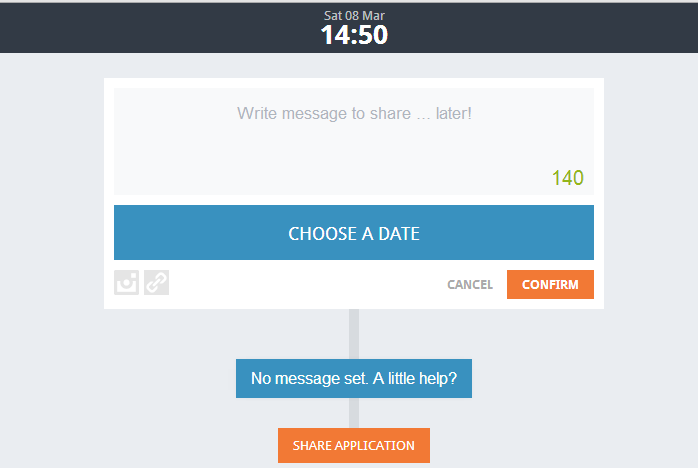 It lets users schedule Twitter and Facebook posts. You only need to validate your Twitter or Facebook account. You can easily schedule the Twitter post from multiple accounts. Once you login with your Twitter account, it asks you to select your timezone. Select your timezone and click Next. In next window, write your tweet, select data-time and click on schedule button. 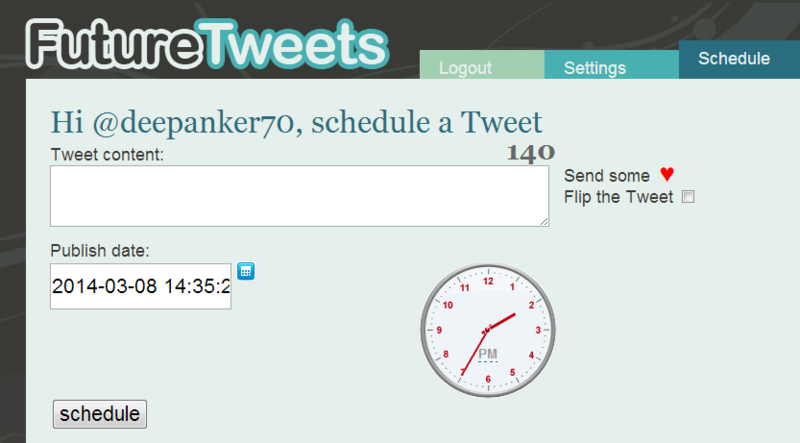 FutureTweets is also a nice tool to schedule your Twitter tweets. This free service lets you send the Twitter to tweet at a specific time of send reoccurring Tweet daily, weekly, monthly or yearly. Like other tools, it also asks you to select your current time-zone. After selecting time zone, select the schedule link at the top right of the page. Here, write your Tweet and select data time to schedule. Tweet4me is also a nice web app that lets users schedule or buffer a tweet from any data, time and from any Twitter application. This app works in a different way. You need to signup for the service and then send a direct message to the tweet4me with a prefix to tell when you want to schedule the tweet. d tweet4me 21-10-15 728h Happy back to the future day! Twitteimer is a web tool that lets you tweet when you want. Schedule your tweet in advance and tweets will be sent from your account at the scheduled time. Like other tools, you need to authorize Twittimer to access your Twitter account. These are few nice tools which help you in scheduling tweets. If you are into social media marketing, you know how important is it to post updates on the time when your followers are active. 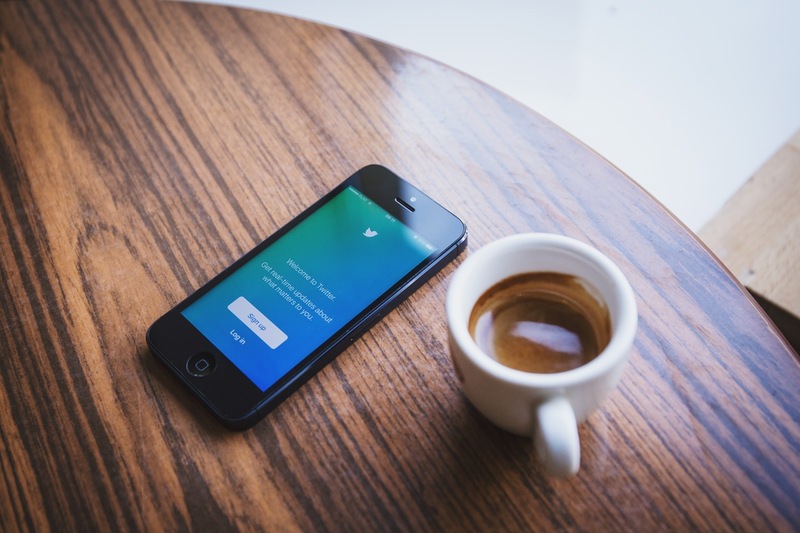 So, try any of these tools to schedule Twitter posts and see how it works for you. If you still have confusion, you can comment below to ask your questions.